NPA developments affecting ability to fight serious crime: Analyst - SABC News - Breaking news, special reports, world, business, sport coverage of all South African current events. Africa's news leader. 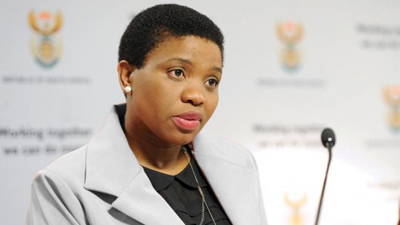 Deputy prosecutions boss Nomgcobo Jiba has until today to give reasons as to why she should not be suspended. Political analyst Somadoda Fikeni says the current developments at the National Prosecuting Authority have badly affected its credibility and ability to fight serious crime. Deputy prosecutions boss Nomgcobo Jiba and her colleague Lawrence Mrwebi have until end of Friday to make submissions as to why they should not be suspended pending inquiries related to multiple court rulings against them. Earlier this month, President Cyril Ramaphosa said he intended to institute an inquiry into their fitness to hold office. Ramaphosa’s move followed the judgment of the High Court in Pretoria in December. It reviewed and set aside Jiba’s boss Shaun Abrahams’ decision to discontinue her prosecution for charging former KwaZulu-Natal Hawks head Johan Booysen with racketeering based on untrue statements. This entry was posted on 10 Aug 2018,11:23AM at 11:23 AM and is filed under South Africa, Homepage Featured Story Slider. You can follow any responses to this entry through the RSS 2.0 feed. Both comments and pings are currently closed.